Coptic binding is one of the earliest forms of stitching pages together. It dates back to the early Christians in Egypt. which enables the book to open flat. This workshop will teach you an interesting hard cover style which I learnt from Sandy Webster. 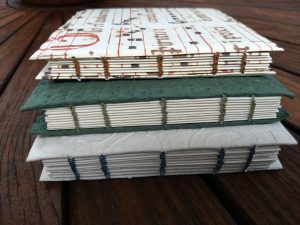 It makes the attaching of the cover easier and allows for concentrating on the coptic binding. 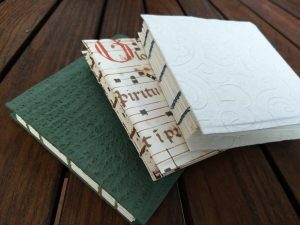 It is suitable for those wishing to learn the binding or revise the stitch.